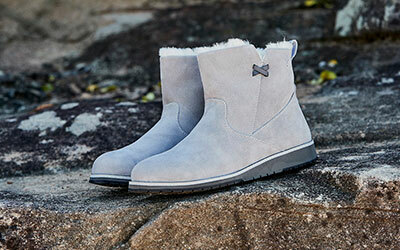 Feet are sure to stay toasty and warm in your home with sheepskin slippers for men by EMU Australia. 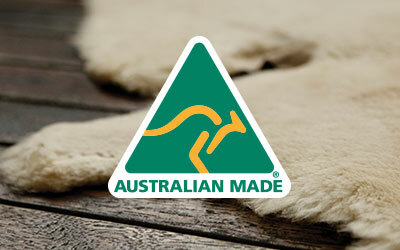 We take inspiration from nature when producing our 100% real Australian sheepskin slippers, and we only use the best, top quality materials. Choose from a mule style slip on sheepskin slipper for men or opt for the closed in style, both in classic colours such as tan, brown, grey and black. All of our slippers for guys are water resistant. EMU Australia’s warm and cosy sheepskin slippers for men are ideal for wearing in your home in colder winter climes, but they can also be worn during the warmer summer months as our 100% real Australian sheepskin is very breathable. This means that it wicks away moisture, to leave feet cool and dry when the temperature climbs. And since our sheepskin is water resistant, our slippers are also fine to be worn outside, perhaps in the garden. They have a super durable and hard rubber outsole, whilst remaining really flexible and lightweight. Our outsoles are also anatomically designed to give your feet a bit of extra support. There’s various styles of sheepskin slippers for guys at EMU Australia. We have a mule style slip on slipper in classic colours, if you’re the type of person who appreciates being able to take slippers off really quickly, and appreciate a little more freedom of movement for your feet. Or maybe a closed in moccasin style is more your thing, which gives a bit more support at the back of the feet and won’t come off your feet as easily. Whatever style you choose, you can be sure of the EMU difference.